New Jersey officials have panned the new "end of late fees" policy of Blockbuster Inc., the nation's largest movie-rental chain, charging it is misleading and incomplete. 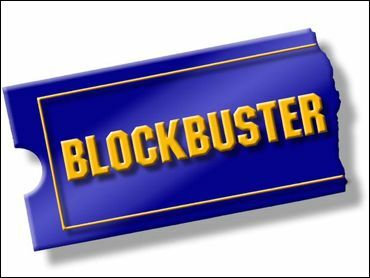 In a lawsuit filed Friday, the state charged that Blockbuster failed to disclose key terms in the policy, including that overdue game and film rentals are automatically converted to a sale on the eighth day after the due date. The customers learn the sale cost only when they get their credit card statement, since charge accounts are used to open a membership, the lawsuit said. State Attorney General Peter C. Harvey called the company's advertising and marketing "deceptive." He said state investigators began visiting dozens of the 170 Blockbusters in New Jersey even before receiving a complaint, and found that employees gave misleading or erroneous information on the policy. In a statement, the Dallas-based chain said it has "taken a number of very thorough steps to let customers know how our new program works. Blockbuster has trained store employees on how to effectively communicate the program to customers, both on the sales floor and at checkout." The stores also have free brochures explaining the program, which began Jan. 1, the company said. The state is seeking restitution for customers whose overdue rentals were converted to a sale. It also wants compensation for people who were charged late fees by stores that were not participating in the new policy, but that failed to make that obvious. The lawsuit, filed in state Superior Court for Mercer County in Trenton, charges violations of the state Consumer Fraud Act, which carries penalties of up to $10,000 for each violation. Although just one customer has complained to the state to date, Harvey said he expects thousands of complaints, which could result in penalties in the millions of dollars. "We will be flooded with complaints from people who will tell us this is their experience, too," Harvey said. "The public is continuing to be charged late fees in a number of ways." Blockbuster said that it eliminated late fees on games and movies at its 4,600 U.S. stores, although customers who miss a one-week grace period will be billed for buying the item at Blockbuster's full retail price, minus the rental fee. If they return it within 30 days, they will get a refund for the purchase but will be charged a $1.25 restocking fee. Due dates remain one week for games and two days or one week for movies. There are also an additional 1,100 Blockbuster stores that are operated by franchisees, and about half are participating in the program, company spokesman Randy Hargrove said. Harvey, however, said some stores displayed signs touting "The end of late fees" but were not participating. Hargrove said that only franchise stores have the option not to participate. "I'd love to be able to know which stores he was talking about to see if he was accurate," he said. Blockbuster shares rose 6 cents, or 0.66 percent, to $9.14, in afternoon trading on the New York Stock Exchange.